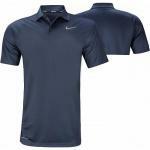 Your junior will lead with color out on the golf course with these Nike Junior golf shirts. 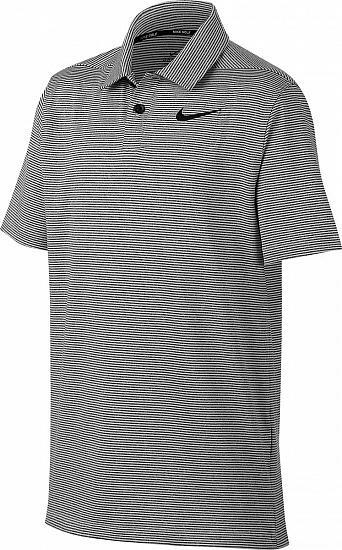 Nike Dri-FIT Control Stripe Junior Golf Shirts feature moisture wicking technology and a sporty stripe design for comfort and style out on the links. Made with Nike's Dri-FIT technology, these junior golf shirts offer all-day moisture management to protect from excess sweat and moisture. No matter how hot things get, you'll always be cool, calm and collected when you're wearing Nike Dri-FIT. 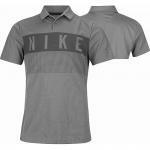 Nike Dri-FIT Control Stripe Junior Golf Shirts are constructed with 94% Polyester and 6% Spandex, a sporty stripe design, and the Nike Swoosh brandmark on the left chest. 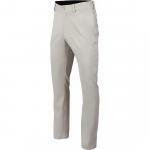 Dri-FIT Technology - draws sweat away from the body to keep your junior cool, dry and comfortable all day. Stripe design - sporty and stylish on and off the golf course. Nike Swoosh brandmark - on left chest.